Quantitative Estimate of Druglikeness (QED) is an integrative score to evaluate compounds’ favorability to become a hit. 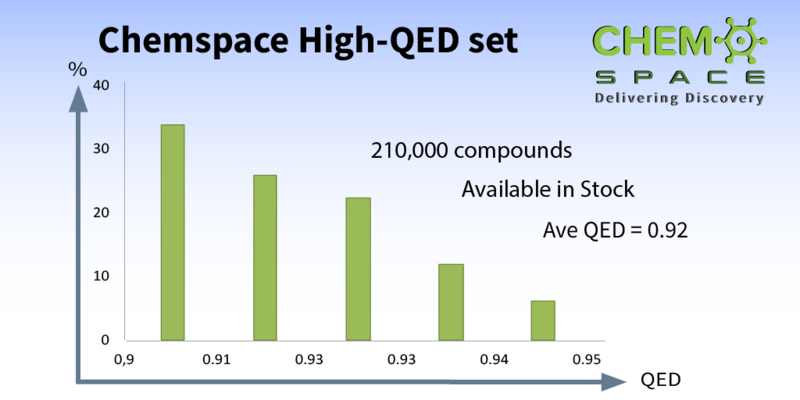 We have selected 210,000 compounds with high QED score (over 0.9) from a Chemspace Screening set. You can download these in-stock high-QED compounds on the website. For make-on-demand high-QED set please contact us at info@chem-space.com Please visit https://goo.gl/k81yUZ for more information.